Rajiv Gandhi, the late Prime Minister of India. Rajiv Gandhi (August 20, 1944 – May 21, 1991) was the sixth Prime Minister of India, serving from 1984 to 1989. He took office after the 1984 assassination of Prime Minister Indira Gandhi, his mother, to become the youngest Indian premier. Meena Agrawal:If my mother gets help from it, then I will enter politics. If my mother gets help from it, then I will enter politics. On being pressured to join politics to help his mother, quoted by Meena Agrawal, in "Rajiv Gandhi", p. 22. There is a loneliness that only a bereaved mother can know...she called to me in her loneliness. I went to her side. At her instance, I left my love for flying at her instance I joined her as a political aide. From her I learned my first political lessons. It was she who urged me to respond to the insistent demand from the constituency and the part to take my brother’s place as Member of Parliament for Amethi. With her blessings I was made General Secretary of my party asking me to accept the challenge of stepping into her shoes. In accepting this challenge I fulfilled a national duty and a filial duty of a son to a mother. India is an old country, but a young nation; and like the young everywhere we are impatient. I am young, and I too have a dream. I dream of an India strong, independent and self-reliant and in the front rank of the nations of the world in the service of mankind. The terrorists are busy in and outside the country in such activities which are a danger to the unity and integrity of the country. Instead of understanding the crisis facing the country and helping the country, the opposition wants to weaken the country by its deeds. The late Indira Gandhi always used to warn about the dangers that the country was facing. She used to keep saying that the country was going through a very dangerous time. This danger is now many times more than what it was at that time. We should all be cautious now. Every person should take a lesson from history. We should understand that wherever there have been internal fights and conflicts in the country, the country has been weakened. Due to this, the danger from outside increases. The country has to pay a big price due to this type of weakness. Thereby, we have weakened ourselves and fallen prey to the ills that the loss of invigorating mass contact brings. Millions of ordinary Congress workers throughout the country are full of enthusiasm for the Congress policies and programmes. But they are handicapped, for on their backs ride the brokers of power and influence, who dispense patronage to convert a mass movement into a feudal oligarchy.. They are self-perpetuating cliques who thrive by involving the slogans of caste and religion and by enmeshing the living body of the congress in their net of avarice. When I was inspecting the guard of honor and as I walked past one person, I saw through the corner of my eye some movement. Then I saw a man reverse his rifle at me. I ducked down a little bit in a reflex action. By my ducking, he missed my head and the brunt of the blow came on my shoulder below the left ear. Better a brain drain than a brain in the drain. When asked in an interview (date unknown) whether he did not regret the fact that so many intelligent Indians left their home country to go studying in the US. When a big tree falls, the earth shakes. Our party is for the building of the temple to Lord Ram, and we should, if possible, work towards an amicable settlement which, while upholding the principles of secularism, enables the construction of the temple to start, with the approval and support of all concerned. ... The key issue appears to be whether or not there was a temple erected to Lord Ram at the site where the Babri Masjid stands today. This question of historical fact would appear to hold the key to a resolution of the problem to the satisfaction of all reasonable, secular-minded persons of all communities. Rajiv Gandhi 1990, [cit. Indian Express, 2 Dec. 1990, repr. Aggarwal & Chowdhry 1991:123]. Quoted from Elst, Koenraad (2012). The argumentative Hindu. New Delhi : Aditya Prakashan. Chapter: Ayodhya’s three history debates. A responsive administration is tested most at the point of interface between the administration and the people. The world is changing much too fast for us to have a moribund system which is not flexible, which cannot evolve and develop with changes in our society, in our country, as they come about in the world. A right value system must be built into our education system. We must be very clear that religion and politics must be separated and there must be a very clear definition of the difference between spirituality of the religion and its rituals and dogmas. We must be clear that secularism as we understand it is not only anti-religion or non-religion; it is only the separation of government from religion. Religion has a great role to play in the development process of our nation and we should do nothing to undermine it. We must see that regional imbalances in the growth of various parties of the country are removed and all the states progress evenly. We shall ensure that all citizens of the country get full opportunity to contribute their might towards India’s progress. The second point which must be part of the national goal, is caste less society. The constitution very clearly differentiates between Schedule Castes and Backward Classes. Why did out our Constitution makers make this distinction? They had something in their mind. Why have we lost that distinction today? I agree with you that reality is that caste accounts for a tremendous amount in this country. I do not disagree with that. But what is our goal? Is our goal a castless society? If out goal, is a casteless society, surely every step that we take must be towards that objective. India missed the Industrial Revolution; it cannot afford to miss the Computer Revolution. Our plan cannot be hard and dogmatic. They must change with the times and move with the development of our country. Every year brings new compulsions, new circumstances, and with each Plan these must be taken into consideration. It is compartmentalization of India into rigidly separated rural and urban settlements that has been the worst legacy of the colonial system of local-self government. If farmers become weak the country looses self-reliance but if they are strong, freedom also becomes strong. If we do not maintain our progress in agriculture, poverty cannot be eliminated from India. But our biggest poverty alleviation programme is to improve the living standard of our farmers. The thrust of our poverty alleviation programmes is on the uplift of the farmers. The fight against communal forces must be fought unitedly. We are the heirs to [[Gandhi]ji’s heritage of communal harmony; to Panditji’s scientific outlook; and to Indiraji’s struggle against the forces of destabilization – terrorists, separatists, and communalists. We cannot fail them. Communalism must not be used as a political tool. If I may read a sentence from the secret Will of Babar to his son, Humayun: It is incumbent on thee to wipe all religious prejudices of the tablet of thy heart. Thinking of this University [Ambedkar University] today, we are reminded of Mahatma Gandhi because if there was anyone who fought for the weak in India, the first one to raise his voice for Scheduled Castes, that was Gandhiji. There were social workers before him but not any people who raised this matter in the political arena as he did. Development is not about factories, dams and roads. Development is about people. Nothing is more important than the unity and integrity of our nation. India is indivisible. Secularism is the bedrock of our nationhood. It implies more than tolerance. It involves an active effort for harmony. No religion preaches hatred and intolerance. Vested interests, both external and internal, are inciting and exploiting communal passions and violence to divide India. For nation-building, the first requisite is peace— peace with our neighbours and peace in the world. Our security environment has been vitiated. Political Independence was only the first step. Sending the British home was only the first step. The struggle still continues. In the last 40-42 years since the advent of Independence, there has been a lot of development, a lot of progress but much more still needs to be done. Rajeev’s name was kept after his maternal grandmother‘s [Kamla Nehru] name. Although the meaning of ‘Kamala’ is ‘Goddess Lakshmi’ and the meaning of Rajiv is ‘lotus’, at that time it was thought that the child’s name was kept after his grandmother’s name. Meena Agrawal:Rajeev used to play with Gandhiji in the same way in which his mother, Indira used to play with Gandhiji in Sabaramati ashram when she was four years old. One day, Rajeev plucked some flowers and kept them at Gandhiji’s feet. Gandhiji laughed and said – Rajeev! Don’t you know that flowers are not kept at the feet of a person who is alive? Rajeev used to play with Gandhiji in the same way in which his mother, Indira used to play with Gandhiji in Sabaramati ashram when she was four years old. One day, Rajeev plucked some flowers and kept them at Gandhiji’s feet. Gandhiji laughed and said – Rajeev! Don’t you know that flowers are not kept at the feet of a person who is alive? Meena Agrawal, in p. 14. This incident happened on 29 January 1948 and on 30 January 1948, Gandhiji was assassinated. Since I have been here from my country I have not played a nicer day than this. Since his childhood he was of a gentle and peaceful nature. The person who offers himself to God, God looks after that person Himself. Our scriptures say that if after the service to God, there is any great service to humanity, it is the service to one's motherland. The person who dedicated himself to the nation, God looks after that person Himself. It is my belief that Rajiv should dedicate himself to the service of the nation. On 30 April 1981, the National Committee of the Indian National Youth Congress unanimously passed a resolution requesting Rajiv Gandhi to contest the elections. Indira Gandhi left for Bihar by a chartered plane. Rajiv Gandhi was one of the pilot's of this plane. This proved to be his last flight. Son of the previous Prime Minister, Indira Gandhi, and grandson of India’s first Prime Minister, Jawaharlal Nehru, Rajiv Gandhi was the logical successor in India’s “democratic dynasty” when his mother was assassinated in 1984. By 1984 he had taken over for his assassinated mother as the Prime Minister, elected in a sympathetic landslide which secured 80 percent of the seats in the Lok Sabha, India’s lower house of Parliament, a greater majority than any previous Prime Minister of India had received. On 31 October 1984, when Rajiv Gandhi was being sworn in as Prime Minister...it looked as if a student of sixth standard had been given a question paper of twelfth standard to solve. What a look of wonderment mixed with worry could be seen on Rajiv Gandhi’s face at that time! What a misfortune it was of Rajiv that he could not even smile and acknowledge the greetings that people were extending him on becoming the Prime Minister of India. Rajiv Gandhi had limited qualities whereas the problems of the country were unlimited. His brother’s tragic death made him a politician and the second tragedy made him the unopposed Prime Minister of India. Within four or five hours of taking over the responsibility of the Congress President, Rajiv Gandhi announced the formation of the new Working Committee and the Parliamentary Board. It is proved by this that Rajiv Gandhi believed in taking quick decisions. On New Year’s eve, Rajiv Gandhi was sworn in as Prime Minister by President Zail Singh – for the second time in two months – on 31 October 31 1984 fateful day of shock and grief he took over as Prime minister in a depressing atmosphere... But now the prize was his –in his own right earned in a national contest. The mass of enthusiasm and euphoria of early 1985 is on a gradual wane....the frequent reshuffle of the Union Cabinet, Chief Ministers, part executives and bureaucratic slots has generated a sense of instability and the people perceive it as a situation of flux and continuing adhocism in the decision making process at the highest level. As the replacements have not often proved better, the very wisdom of the change-mechanism is now being increasingly questioned. Rajiv was implicated in a triple scandal – Fairfax, Bofors, and the West German Submarine payoff by ambitious V.P.Singh and Arun Nehru, They suddenly turned hostile and established a Jan Morcha to unmask Rajiv Gandhi's Government that according to them was saddled with non-performance, corruption and inner dissension. Few world leaders could have experienced a transition from a hero to villain in such precipitate fashion. Rajiv, as Russi Karanjia, Editor of Blitz, described was a gentlemen thrown among thieves. Kishor Gandhi, In India's Date with Destiny: Ranbir Singh Chowdhary : Felicitation Volume (2006), p.
He was campaigning for the Congress Party on the second day of voting in the world's largest democratic election when a powerful bomb, hidden in a basket of flowers, exploded killing him instantly. It later emerged that a female Tamil Tiger (LTTE) suicide bomber had assassinated Rajiv Gandhi. In 1987 Mr Gandhi, then Prime Minister, had sent Indian Peace Keeping Forces to Sri Lanka in a disastrous attempt to impose peace in the country. The move proved unpopular both at home and abroad and his troops pulled out in 1990. As Rajiv Gandhi was going past me, I got a thought in my head. I thought of how India was helping the terrorists with money, arms and military training. As these thoughts came into my head, when Gandhi was about two or three feet away from me. Yes, I felt an emotion. I despised the Indian Prime Minister. I aimed a blow with my rifle at Prime Minister Rajiv Gandhi�s back, below the shoulder. The Bofors scandal was a key issue in Gandhi's 1989 election defeat. He was assassinated while campaigning in 1991. 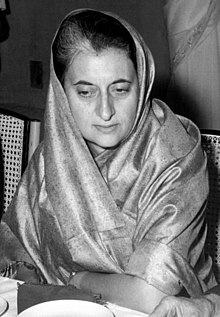 Twenty five years ago on 29 July 1987, when the Indian Prime Minister Rajiv Gandhi and the Sri Lanka President J. R. Jayawardene signed the Indo-Lanka accord, it was a day of mourning in the South of Sri Lanka, a day of confusion in the North and East and a miraculous day for India, especially for the Gandhi family. In the South, half of Colombo was on fire. The majority of the people, politicians, the then Prime Minister, many cabinet Ministers and the present President were angered by India. The people of the North and East were in the dark, knowing nothing about the Indo-Lanka accord. At the same time, it was a miraculous escape for the Prime Minister of India, Rajiv Gandhi who was attacked by a Sri Lankan Navy soldier with a rifle in an attempted assassination. Fortunately the heavy blow which landed on Gandhi only injured his shoulder, while he was inspecting the guard of honour in Colombo. If the Navy soldier’s strike had hit as planned, today’s history of Sri Lanka would have been very different. As far as that event is concerned, I would say it is a great tragedy, a monumental historical tragedy for which we deeply regret. We call upon the Government of India and the people of India to be magnanimous, to put the past behind and to approach the ethnic question in a different perspective. I don't appreciate this comparison at all. My father was a martyr. He sacrificed his life for the country. And in my heart he can never be compared to any other person. Rajiv Gandhi was not a great Prime Minister by any yardstick. He had his high points and his low points. He did try hard in some ways, but history will judge him not as a man who left behind a great legacy, but as someone who squandered the greatest opportunity India provided to any Prime Minister in living memory to take the country to new heights. He left the country in chaos and in self-doubt, and the economy in the dust. R Jagannathan, in "Dear Priyanka, your Dad Rajiv was no angel. He let India down (2 May 2014)"
↑ "1984 anti-Sikh riots 'wrong', says Rahul Gandhi". Hindustan Times. 18 November 2008. Retrieved on 5 May 2012. This page was last edited on 22 April 2019, at 07:48.